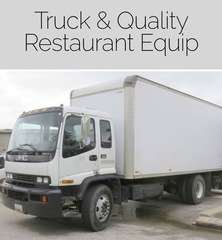 M21922 Equipment Recycle, High-End box truck, and clean quality restaurant equipment. AUCTION CLOSING DATE: Thursday, December 13th 1:07 pm. Bidding closes on the first item at 1:07 pm, then closes at the rate discussed in these Terms and Conditions of Sale.